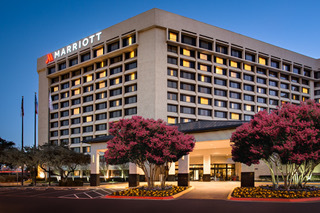 The Institute of Management Consultants USA (IMC USA, www.imcusa.org) announces that its 2019 annual Consult-Con international consultants conference takes place October 4-6, 2019, at the Dallas/Addison Marriott Quorum hotel, a short drive from Love Field (DAL) and DFW Airport. The theme of this year's Consult-Con Conference is VROOM! Accelerate Your Practice and Enjoy the Ride. According to Conference Program Chair and Certified Management Consultant® Michael E. Egan, Ph.D., "Our objective is to engage, inform and stimulate consultants to drive growth in their consulting practice while at the same time fully enjoying the life they desire." Keynote speakers include Alan Weiss (author, Million Dollar Consulting, and Fellow of the Institute of Management Consultants), Abe Minkara (Mark Cuban Companies), Melinda Marcus (Award-winning Persuasion and Influence Expert), and Dennis McCuistion (Consultant and PBS Host). Consult-Con 2019 will focus heavily on interactive, peer-to-peer learning opportunities valued by its members, including a mix of general and breakout sessions and roundtables, networking with other consultants, and exhibits of relevant technologies, tools and methodologies. The international annual IMC USA conference is attended by individual consultants, consultants from small to mid-size firms, internal consultants, executive coaches and mentors, and consultants with specialties such as IT, HR, marketing and finance. While the majority of the attendees are established consultants, the conference also attracts many prospective and new consultants. IMC USA has issued a Call for Speakers, is designing the program details with registration planned to open shortly. Founded in 1968, IMC USA exists to promote excellence and ethics in management consulting. It does so by providing online and in-person professional learning and a community platform where consultants can connect with each other and build their practices in order to deliver transformative value for their clients. The nonprofit IMC USA is a charter member of the International Council of Management Consulting Institutes (ICMCI), a 50-nation body that sets global standards for competence, professionalism and ethics for management consultants. IMC USA is the only U.S. entity to provide certification for individual management consultants and management consulting firms which conforms to the international standards of the ICMCI.